Tonight and this month: February First Friday Art Walk, and #TwitterArtExhibit Closing Reception. Welcome to this Friday's blog post, now with 200% more fiber and goodness! Well, at least eventy type contenty stuff... and sometimes Y.
Sauced has been making giant pizza pies in the Paseo Arts District for years (I grabbed this pic in 2009 when still running occasional ArtBeats over to them) They offer great beer selections and a family friendly environment and are also a hub of local events including open mic and poetry nights. Tonight is Paseo's First Friday Art Walk and I have some art hanging over at Sauced on Paseo in the annex, and a little one in the shop as well (near the ladies room... drink lots of beer tonight.) About a third of the pieces are newly completed in the last month/new for 2013 and others toward the end of last year. We will be checking out the opening exhibits tonight and hanging around Sauced to answer any questions or if you see something you want to take home, and to take in the music that will be there! 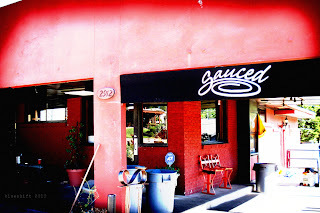 Yesterday Sauced and Terre' Gables of Fox25, one of our local news affiliates, were kind enough to even put us on TV! 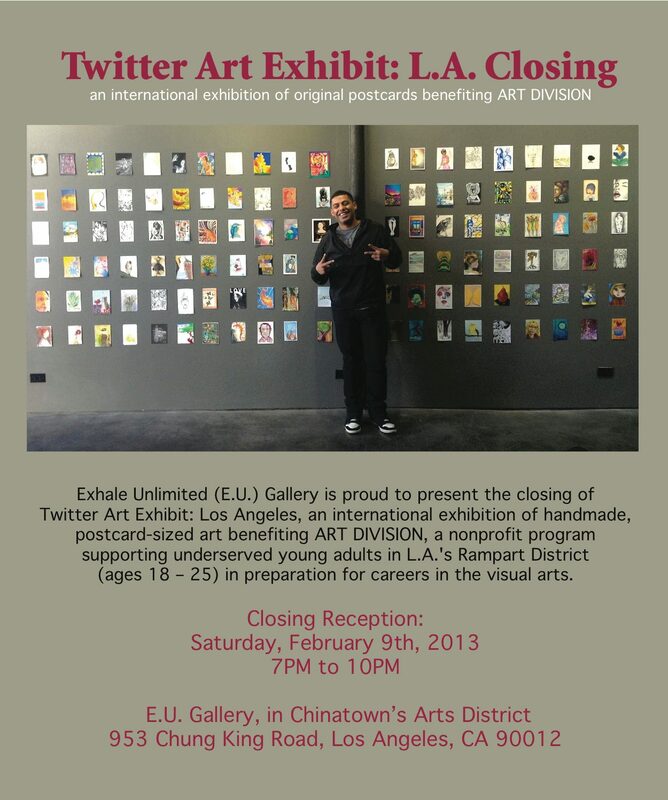 Also if you aren't in OKC but lurking westward, the #TwitterArtExhibit is ending soon, with a closing reception on February 9th at Exhale Unlimited in Los Angeles. Art from the exhibit can still be purchased on the website for the show no matter where you are located!! - go to twitterartexhibitla.com. These group shows that bring us all together across the globe for good causes are always fun and I hope there are many more to come.